This little girl wants to make a potion, but she is angry. Do you know why she is so angry? There is one ingredient left to finish a potion, but she hasn't got one. Find some specific mushrooms and fill the vial. Mushrooms is the only ingredient left to finish your experiment and get the potion. However, it won't be easy as the area where mushrooms grow is full of dead creatures. Skeletons will attack any intruder, so you have to get prepared for this. Grab some pink bombs and the vial to fill with mushrooms. 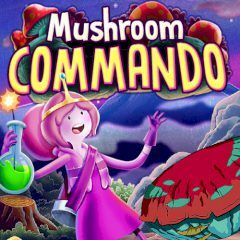 Dodge your enemies and collect all mushrooms you see.